Kochi: India’s first transshipment terminal, built and being operated by DP World in the southern port city of Kochi, is expected to double its capacity in the next two years, when it adds two more shipping berths, a top official said on Sunday. “Our current capacity with two berths can handle a maximum of 1 million TEU (Twenty Foot Equivalent Unit) per year, while the designed capacity of the terminal is 4 million TEUs per year. So with one of the youngest operations in the global maritime industry, we can definitely look forward to reasonably strong growth in the future under the right kind of circumstances,” said Jibu Kurien Itty, chief executive of India Gateway Terminal Private Limited, the Indian arm of DP World that operates the terminal. 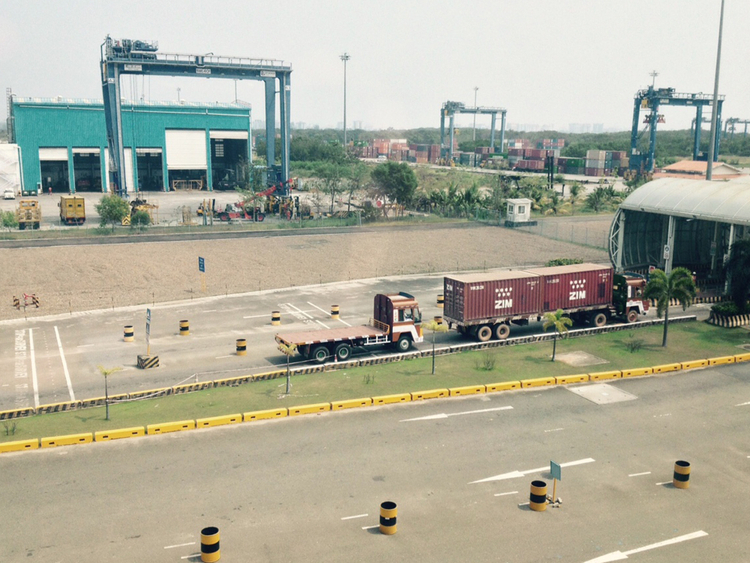 “With an industry benchmarked turnaround time of 25 minutes per truck, we have optmised our efficiency and provide ample opportunities for trans-shipment for companies to leverage our strengths and save substantial costs,” Itty said of the International Container Transshipment Terminal at Vallarpadam in Kochi. Located only 11 nautical miles from the direct Middle East-Far East sea route, Kochi port enjoys a strategic proximity to major maritime sea routes and serves as a gateway to the vast industrial and agricultural product markets of southern and western India. According to Itty, the terminal’s hinterland – with Kerala, Tamil Nadu and Karnataka – along with good infrastructure, dedicated rail connectivity and 24x7 all weather operations make the port a preferred gateway for exports and imports. DP World, which began operations in India with the Nhava Sheva terminal in Mumbai in 1999, currently operates five ports across India with a market share of 34 per cent of the country’s container handling business. The terminal in Kochi began commercial operations in 2011, and has recorded a 28 per cent growth year-on-year for January 2016, against the same period last year, Itty said. “In December 2015, we handled 64 ships while last month we handled 68,” he said.